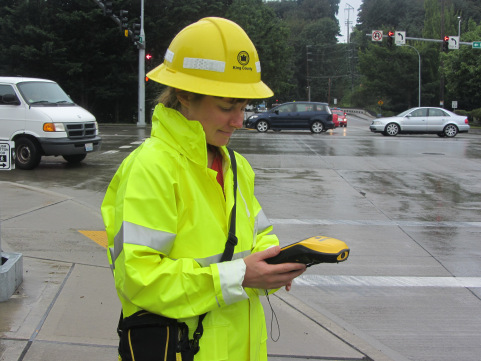 WSDOT Northwest Region has several exciting internships for currently enrolled students who want to observe and participate in real world application of their current field of study. This assignment will provide the opportunity to gain valuable experience in the practical application of engineering procedures, concepts, and techniques in an on-the-job environment. The candidates will be assisting in a variety of entry-level engineering tasks while under the direct guidance and mentorship of an experienced engineer. Positions in the Northwest region are located in King, Snohomish, Skagit, and Whatcom counties. This is a temporary position/internship lasting approximately three to five months. WSDOT Northwest Region Environmental Office in Shoreline has two exciting internships for currently enrolled students who want to observe and participate in real world application of their current field of study. This is a great opportunity to learn about the exciting work WSDOT is doing to meet environmental stewardship goals in a real world setting. The Environmental Office directly supports the transportation needs of Washington State by providing environmental technical studies, field investigations, interagency coordination, and construction support to WSDOT projects and operations. The successful candidates will receive exposure to the various roles in the Environmental Office and WSDOT project teams and gain hands-on experience assisting the program in hydraulics, fish & wildlife, environmental permitting, cultural resources, air quality, acoustics, water quality, and wetlands studies. King County Wastewater Treatment Division (WTD) is now taking applications for our 2018 summer college internship program through February 25, 2018. These aren’t the “get my coffee, do my filing” kind of internships, either. From construction management to communications and everything in-between, WTD’s paid internships offer hands-on professional experience and an opportunity to explore careers in the clean-water field. With the guidance of a mentor, you’ll work on real projects with real responsibilities, all while earning a paycheck and enhancing your studies. The best part about working with us? You’ll get to do something awesome for the environment every single day. Check out these stories here, here, and here about our past and current interns’ experience working with us. You can also learn a little more about who we are and what we do, and get the ball rolling on that internship application by visiting our jobs website today.